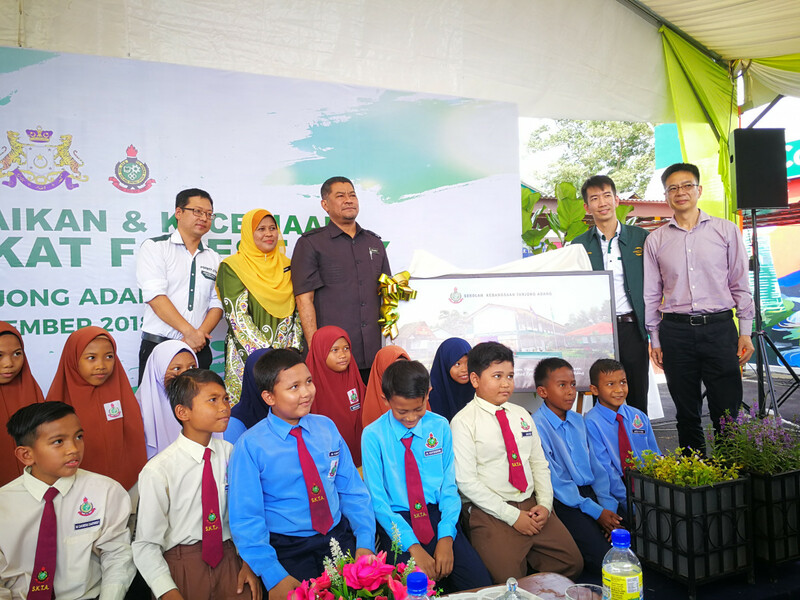 GELANG PATAH, JOHOR (Nov 14): Country Garden Pacificview (CGPV) Sdn Bhd, the developer of Forest City recently contributed RM550,000 to refurbish SK Tanjung Adang, a 100-year old school in Gelang Patah, Johor. The school has 119 students and 19 school staff. Forest City’s project, landscape, design and construction teams also helped in the refurbishment which was completed recently. SK Tanjung Adang is the first of seven schools under the Forest City School Revitalisation Project, according to a media release by Country Garden Pacificview. School principal Noriah Md Jidin said the children are proud of their school and their enthusiasm to come to school has increased after the revitalisation works were completed. Renovations included repairing the staircases, repainting the school facade, refurbishing the common areas, security guardhouse and sport facilities. “Apart from taking care of the villages and community near our development, we are planning to expand this initiative to other areas in Johor, as we believe education will change one’s destiny,” said Country Garden and Forest City director of strategy Ng Zhu Hann at the launch of the revitalisation of SK Tg Adang here yesterday. “It is also important to empower the local community, especially the B40 and M40. A conducive learning environment is important so that the children can study well, and the teachers can teach effectively while the parents can have peace of mind knowing that the children are in a safe environment. “Forest City will continue to align with the government’s call for more public-private partnerships in overall economic activities and social development, especially the upgrading of education infrastructure as per Budget 2019.” he said, adding that youth education and empowerment, societal development and environmental awareness are the three pillars of the company’s corporate social responsibility (CSR) initiatives. Meanwhile, State Housing and Rural Development committee chairman Dzulkefly Ahmad, said the state government encourages public-private partnerships, especially CSR programmes that would enhance the lives of the locals.